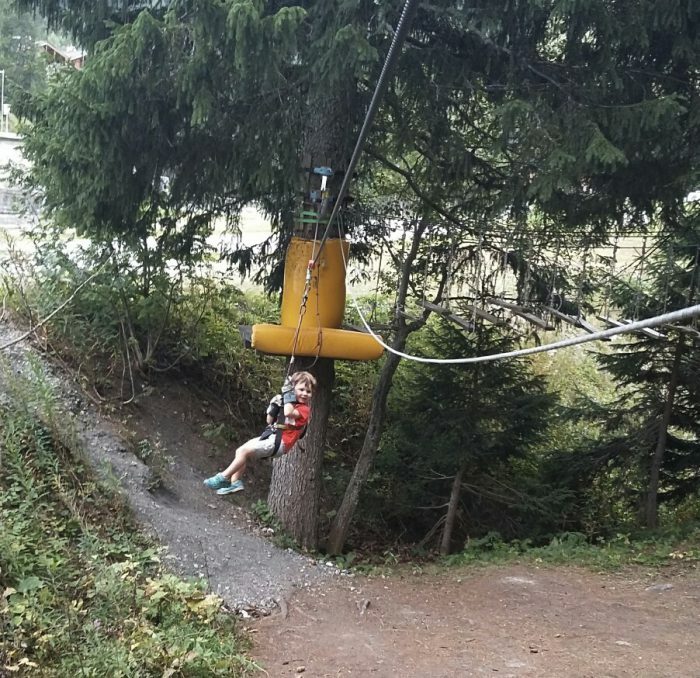 If you are looking for family-friendly activities for young children in and around Sion, you could do no better than to follow in the footsteps of intrepid tour leaders Carey and Mark Faulkner. The couple, who live in Bramois, run trekking and adventure holidays in the Swiss, French and Italian Alps. 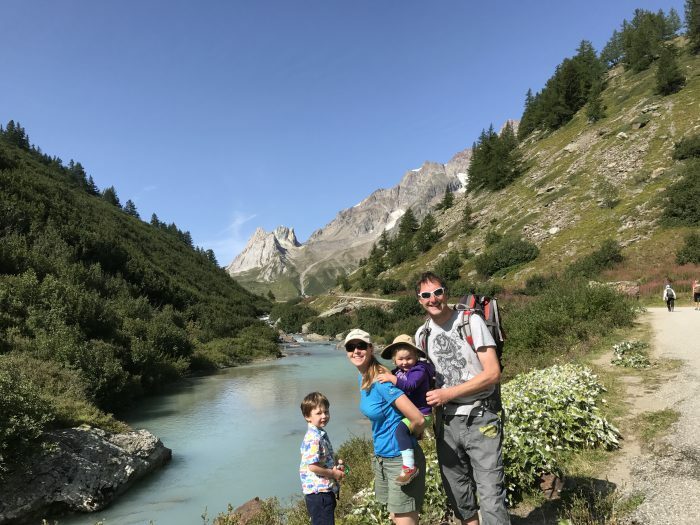 Outside their work, they explore the local area as much as they can with their two children Fred, age four, and Freya, two – hiking, skiing, swimming, and making the most of what the beautiful Valais and surrounding regions have to offer. 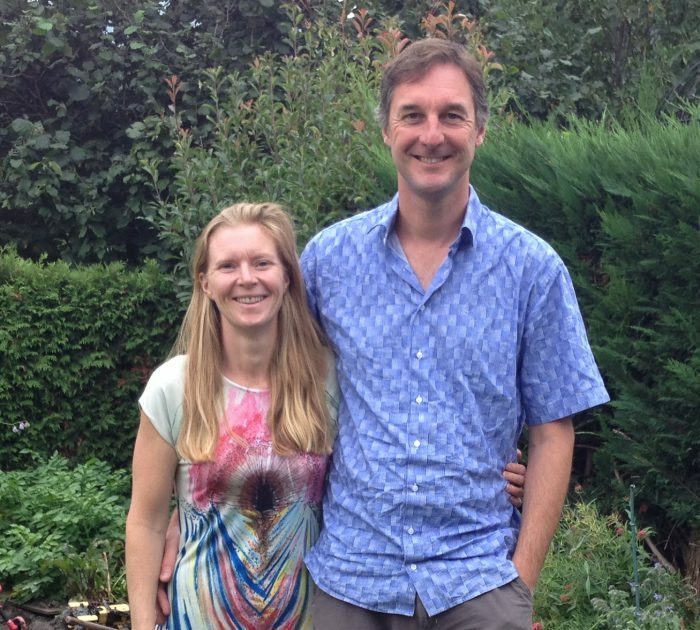 Carey, from Dorset, and Mark, who grew up in Aberdeen, met in Marrakesh in 2000. Before settling down to have children, they led mountain trips all over the world – in Nepal, Africa, South America and Europe. Eventually they bought out a hiking business from a couple who wanted to retire, and founded High Trails, which hosts tours on behalf of holiday companies such as Exodus. 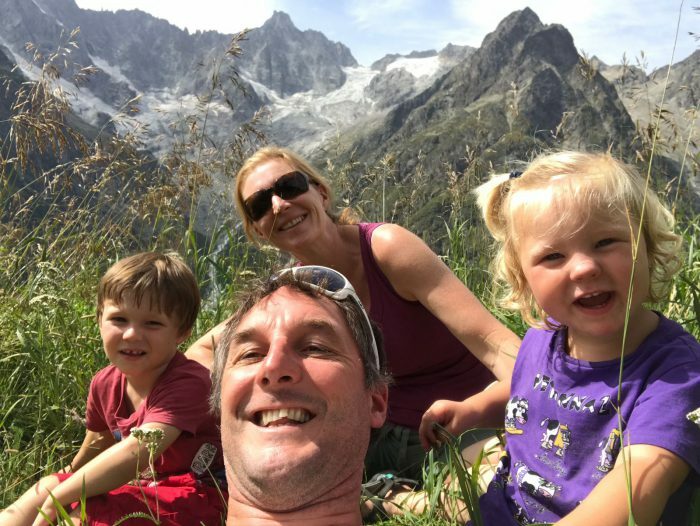 The Faulkners found out that they could get an L permit to live and work in Switzerland for 90 days, so they decided to try it – and never looked back. Carey said: “In that time we worked out we really quite liked it. We decided to move to Sion because we wanted to have easy access to lots of stuff – the motorway to get to Chamonix, to the airport, to the mountains. We wanted to be able to ski in lots of different places. Mark still runs the business and Carey works part time, while also looking after the children. They have bought a house, learned French, and settled into village life as much as possible, sending the children to a French-speaking nursery. Blancherie outdoor pool, open from the end of May to the end of August, with slides, diving boards, a playground, and a café. Les Iles de Sion, more than 54 hectares of recreational activities including a big park, lake, and climbing frame. Les Bains de Géronde, an outdoor swimming complex next to Lake Géronde, Sierre. ‘Sion plage’, Rue du Stade, Sion – a paddling pool and sand pit near the centre of town with deck chairs and free cultural events. L’Arche des Crétillons open farm, Chalais. Les Bains de Saillon, a swimming complex with lots of indoor and outdoor pools and a lazy river. Taking a train from Sion to Lötschen in the heart of the Bernese Alps, changing trains at Visp then discovering the remote Lötschen valley. Driving up to Leukerbad and walking the Römerweg to the Bodmenstübli Restaurant, or relaxing at the thermal baths. Staying in the mountains for the weekend by taking a tent and camping in places like La Fouly, or Chamonix if Mark has to work there. Hi Rachel, I love your blog – really well written and informative. Just a pity that we can’t share your articles on Facebook, or mail them. I see you have a sister issue in Nyon. It would be great if you could add a few more towns, with English-speaking contributors. It’s a great formula.